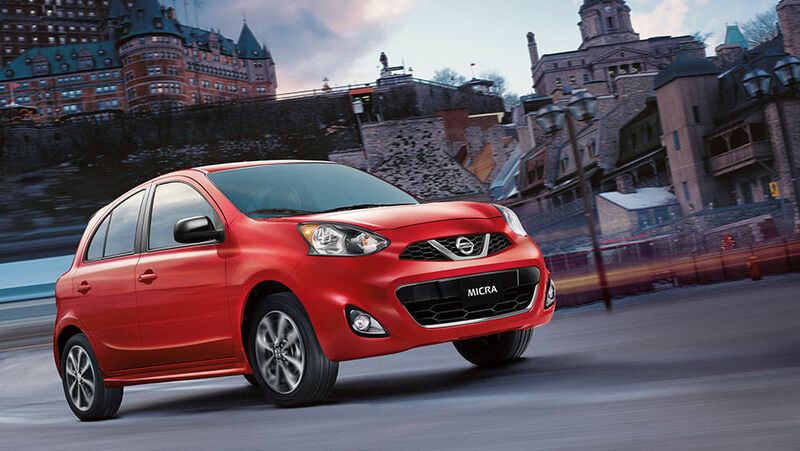 If there was ever a car made for a country, it’s the Micra for Canada. Truthfully, it is a very Canadian vehicle, developed and engineered with Canadian needs in mind and sold in Canada and not in the USA. 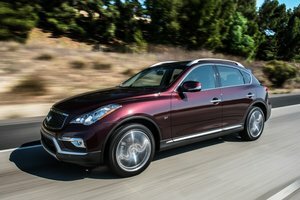 This is our car. And we’re damn proud of it. And we should be. 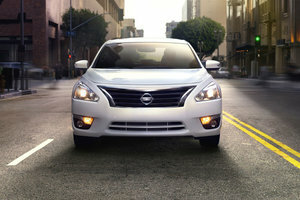 Here is a car that took the small-car segment by storm when it announced a starting price below the $10k mark. In an already hot-around-the-collar segment, the 2015 Nissan Micra came in and took them all by storm with not just its pricing but its build quality, fun-to-drive attitude, and quirky, cute look. So, what exactly do you get for $9,998? Well, the 2015 Nissan Micra S (the base model) is actually rather bare bones. However, if that’s all you need then it’s brilliant. Crank windows, no A/C, a key needed to unlock the doors (all of them) and to start the ignition, and a glorious 5-speed manual transmission, and all the attitude you can muster from such a little tike. The same engine is found across all four trim levels of the Micra: a 1.6L 4-cylinder that produces 109 horsepower and 107 lb-ft of torque. The manual isn’t the only transmission available; you can also take advantage of a 4-speed automatic, depending on your driving preference. Regardless, the little Micra goes like the dickens when asked, and is actually a lot of fun to pilot. New for 2015 is the KROM edition of the Nissan Micra which features standard 15” wheels, as well as chrome capped side mirrors (that are also heated), chrome door handles, side moldings, and a chrome trunk entry guard. The 2015 Nissan Micra is an affordable, practical, easy-to-live with solution for those in need of a second car or their first car. Superb for city dwelling and available either stripped bare or decked out with Bluetooth and back-up cameras, etc., the 2015 Micra has something for everyone. 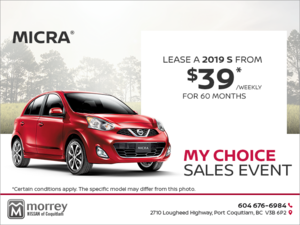 Stop by Morrey Nissan of Burnaby today to book yourself a test drive in the 2015 Nissan Micra and see for yourself. Contact us for additional information.